This month I have been using my Mac eyeshadows everyday, I bought three new shades (Sketch, Woodwinked and Naked Lunch) I've mainly been using Woodwinked and Naked Lunch together, I have to say I absolutely adore Woodwinked, it's gorgeous and the two shadows together look beautiful! I still need two more shadows before I have completed my palette (leave recommendations in the comments please!) but I will do a post on it and include swatches of them all! For applying my foundation I have been using the Real Techniques Buffing Brush, because my skin has been dryer than usual this month I have been dotting foundation around my face, then using this brush to stipple it in slightly and spread it around. Then using my Cosmopolitan Sponge (I run it under water and squeeze out the excess) I blend in the foundation by bouncing the sponge on my skin. I found that using the Buffing Brush to buff the foundation into my skin was accentuating the horrendous dryness of my skin, so prefer this way of applying it! I have to say my skin looks so much better since I've been applying it this way, I no longer have visible dry patches that are really obvious! Along with my skin being dry, it also broke out like crazy! So I have been relying on my Lush Grease Lightening to get rid of breakouts, this is my favourite product for dealing with spots! 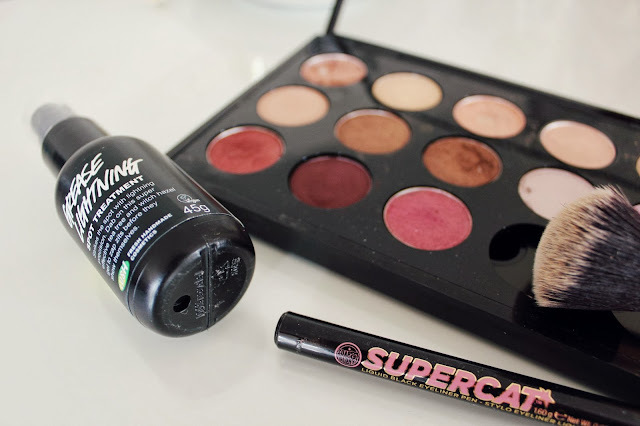 Finally I've been getting back into using liquid liner, I love the Soap and Glory Supercat liner, the tip is really precise and I like that it isn't glossy and shiny, like many other liners I have tried! 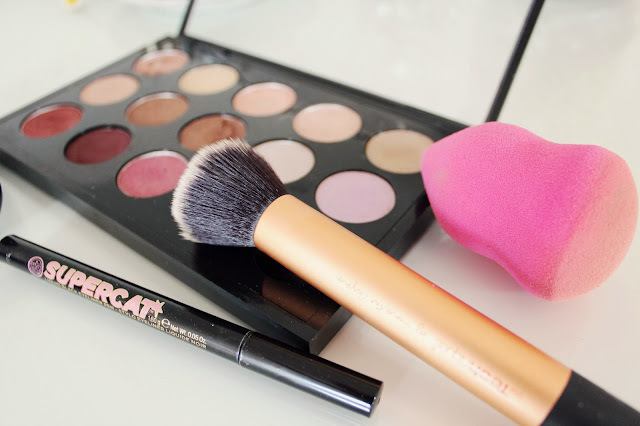 I really want my own MAC palette - it's on my Christmas List! I love Grease Lightning too, it gets rid of all my blemishes in a flash! 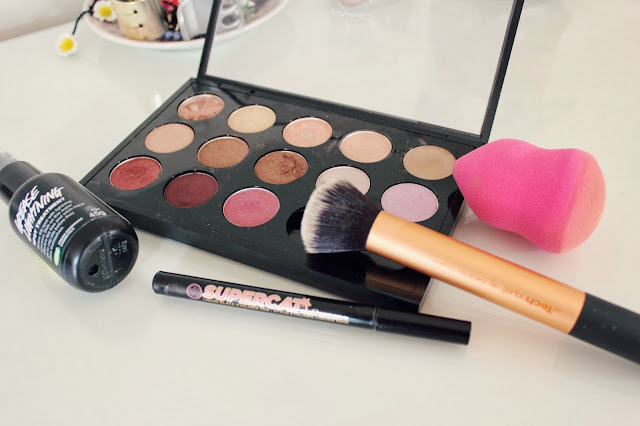 Your MAC palette is so pretty, I really want to start one myself! your MAC palette looks so pretty haha! I've just posted my September favourites too!